I complained to Greg that he hadn’t been romantic in a while so on Saturday night he booked a table at Porcini at the Ritz as a surprise. However, he knows I hate surprises, so he ended up telling me where we were going beforehand and I was really happy with his choice. I love the Ritz as it brings back happy memories of visiting Qatar many years ago and it is also a restaurant neither of us have tried before. Porcini is on the lower ground floor of the Ritz and is elegantly designed with spacious seating, low lighting, an open kitchen and a guitarist playing authentic Italian music. I was a bit taken back when our appetisers arrived as they were generous portions. 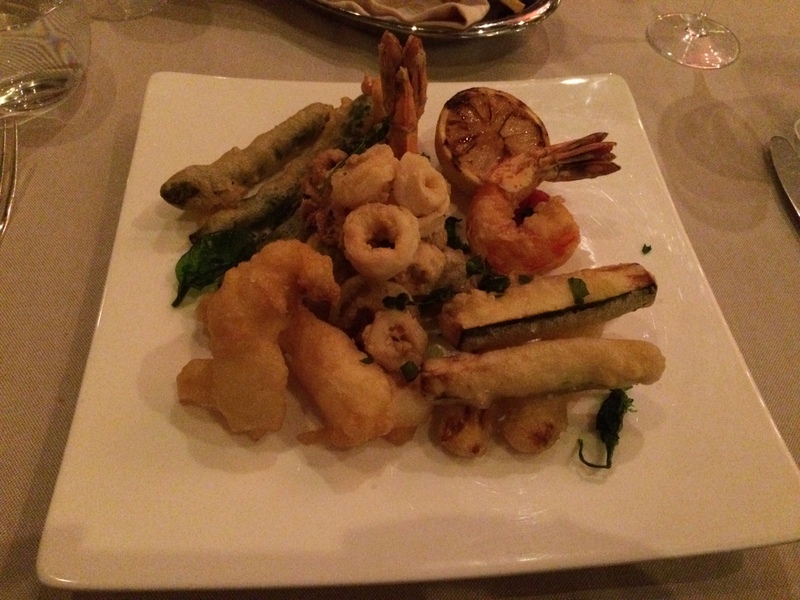 My fritto misto consisted of a selection of seafood and vegetables in a light tempura batter and were perfectly cooked retaining the crunch of the vegetable and the delicate taste of the seafood but not at all oily or greasy. 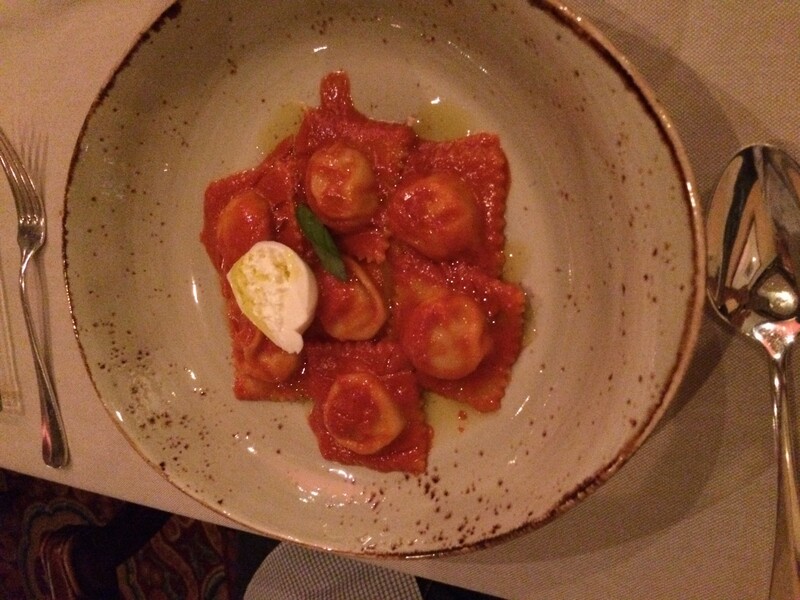 Gregs chicken ravioli was packed with flavour and in a sweet tomato sauce with creamy mozzarella. With a suitable rest between our appetisers and mains again I was surprised at the portion size. 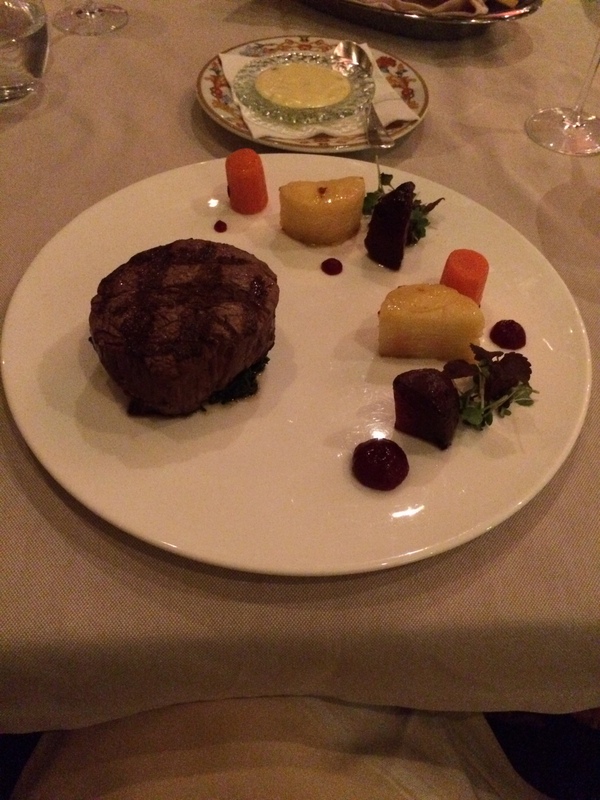 My fillet steak was seasoned and cooked to perfection and the little potato dauphinois were creamy and light. 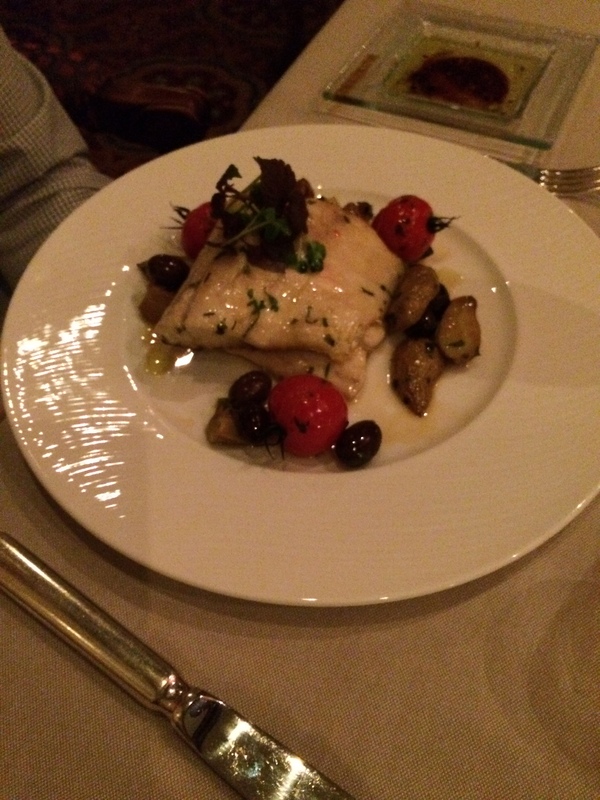 Gregs sea bass was superb – moist, flaky and accompanied by little roast potatoes and cherry tomatoes. I’d say throughout the meal we must have said ‘ wow’ at least a dozen times. 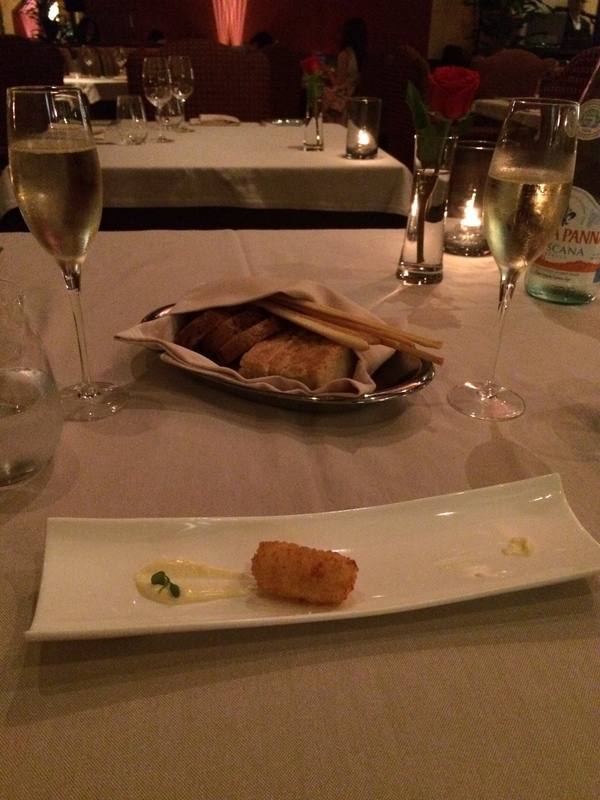 All the dishes were well cooked, beautifully presented and unfussy, relying on the simplicity of quality ingredients. The the bill for 2 appetisers, 2 mains, water, a bottle of sparkling wine and a tip was 850 QR which was good value for the quality of the food and the portion size. 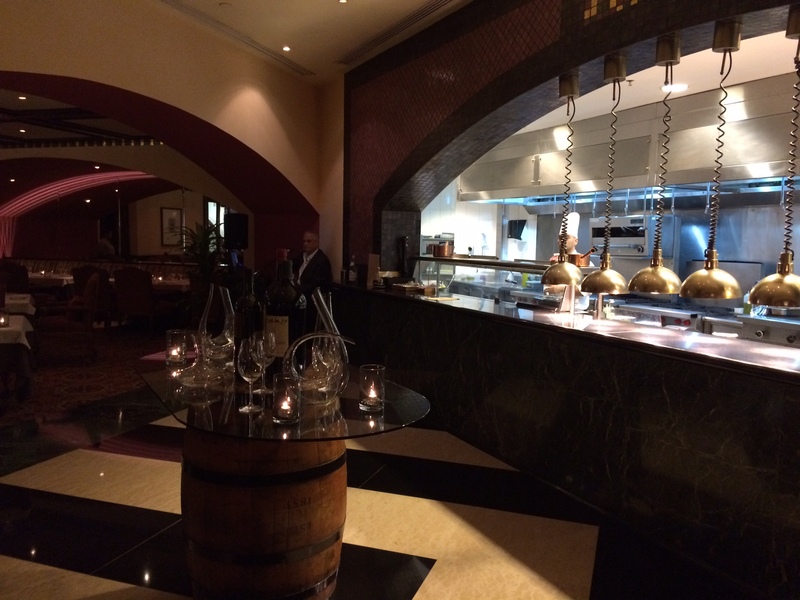 Porcini is a perfect place for a romantic meal, the New Years Eve menu also looks fantastic and is very competitively priced at 550QR pp for 4 course and 2 glasses of bubbly. I don’t wish to end on a negative however, during the meal the waitress accidently knocked over a full glass of wine which went over my phone and purse. Although she apologised it would have been nice to have been offered an additional glass, I mentioned this to the Sudeep the supervisor at Porcini at the end of the meal and he said he would take care of it on our next visit. He chatted to us about the menu, the concept behind the dishes and the head chefs vision for the restaurant which was interesting, it was clear he cares about the restaurant and customer experience. 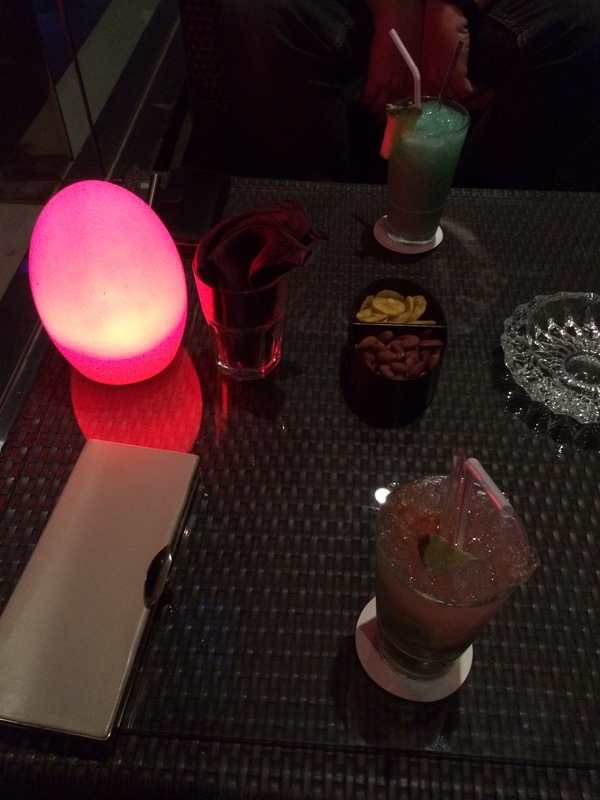 He then escorted us up to Habanos for cocktails on the terrace which was a nice touch. We will definitely return to Porcini, Greg has set himself a high standard for the next night out he’s asked to arrange! Mine too! Can’t believe they didn’t address it either even after I spoke to the supervisor …..